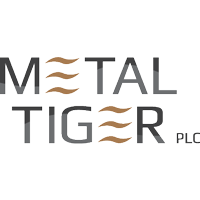 Metal Tiger plc (LON:MTR), the London Stock Exchange AIM listed investor in strategic natural resource opportunities, is pleased to provide an update on its investment in Pan Asia Metals Limited, in which the Company holds a 13.6 per cent interest. PAM owns the Reung Kiet Lithium Project and the Khao Soon Tungsten Project (“KSTP”), both located in Thailand. PAM considers both projects are to be peer group leaders by grade, potential size and geography. At a Mineral Committee (MAC) meeting held in Bangkok yesterday (30 January 2019) to consider PAM’s Reung Kiet Lithium Project SPLAs, several SPLAs and MLAs were approved, without any additional conditions. The Director General (“DG”) of the Department Primary Industry and Mines (“DPIM”) is now expected to ratify the decision imminently, following which PAM will be awarded the licences by the Phang Nga DPIM. SPLAs have a term of 5 years. Following the formal award of the licences, PAM intends to finalise land access agreements before mobilising drilling equipment currently located at PAM’s Khao Soon Tungsten Project (KSTP) core yard, approximately 100km to the east of RKLP. PAM’s surface work to date has produced average rock chip grades of 1.54% Li2O, with good Sn and Ta credits. Both prospects are drill ready, with drilling contracts agreed. Previous mining and independent reports at RKLP indicate excellent potential to discover significant lithium resources. The project is a good fit with the Thai Government’s industrial policy settings and therefore has Government support. Under Thailand’s current electric vehicle (EV) tax incentive programme, which has been made available to auto manufacturing and auto parts manufacturing companies producing EVs and their components, companies are eligible for five to eight years of corporate tax exemptions as well as the exemption of import duties on related machinery. Manufacturers producing more than one key EV component may have an additional year of tax exemption per key component, capped to a maximum of 10 years. “Pan Asia Metals is one of the few Lithium exploration companies which is positioned to build competitively priced Lithium Carbonate and Lithium Hydroxide manufacturing capacity and is currently the only lithium exploration company located on the door step of key consumers in SE Asia and Asia more generally.